These days there’s a wide array of hub dynamo USB chargers available, so I’ve created this page to help you to see and compare all the different models. 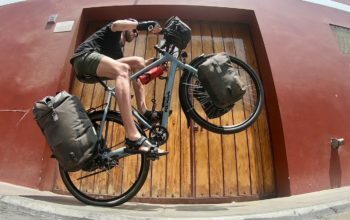 Before digging too far into this resource, I recommend learning up on power at certain speeds, hub drag and the general practicalities of hub dynamo USB chargers via THIS page. Hub dynamo USB chargers are really useful for anyone who has gadgets. 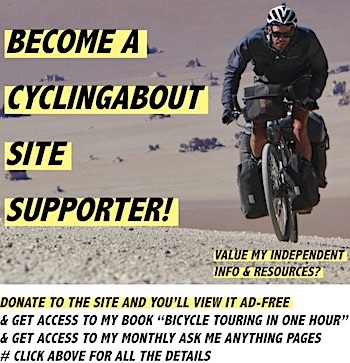 I use mine to top up everything from my Apple iPhone 5S, to a Sony TX10 digital camera, Garmin Edge 800 GPS and 7000mAh external battery. You can also charge batteries (AA, AAA etc), eReaders, GoPro cameras, USB powered lights, head torches, speakers, MP3 players and much more. Alright, let’s get into it – here’s a look at the different hub dynamo USB chargers currently on offer. 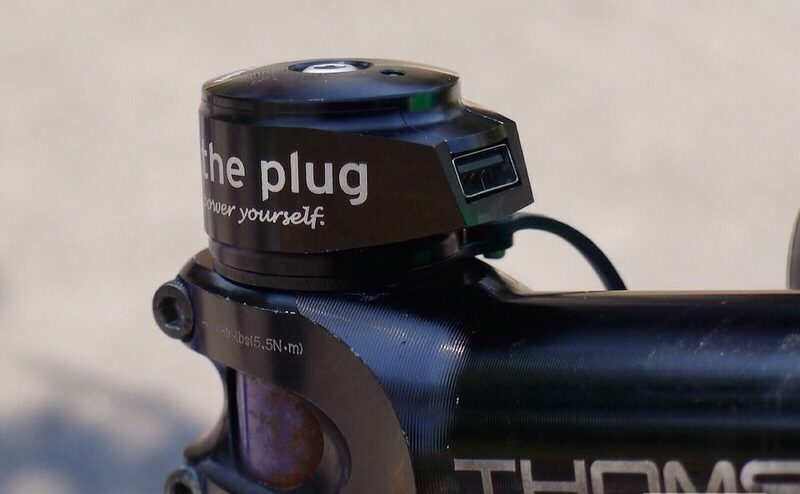 The Plug III is the neat headset top cap that I’ve been using since 2014. 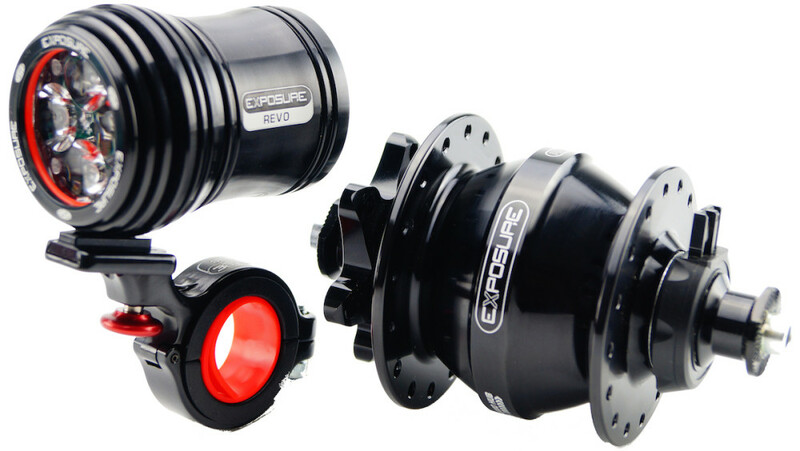 It integrates the electronic circuitry inside your steerer tube providing your bike with a very clean look and minimal weight penalty. The Plug III is the fourth and most reliable edition by Cinq5. It uses a ‘power amplifier’ in its circuit so that it can achieve USB power (5V and 500mA) at speeds below 15km/h. I definitely recommend using a cache battery for any stop/start riding or for those who are partial to hilly rides (that goes for any dynamo USB charger). 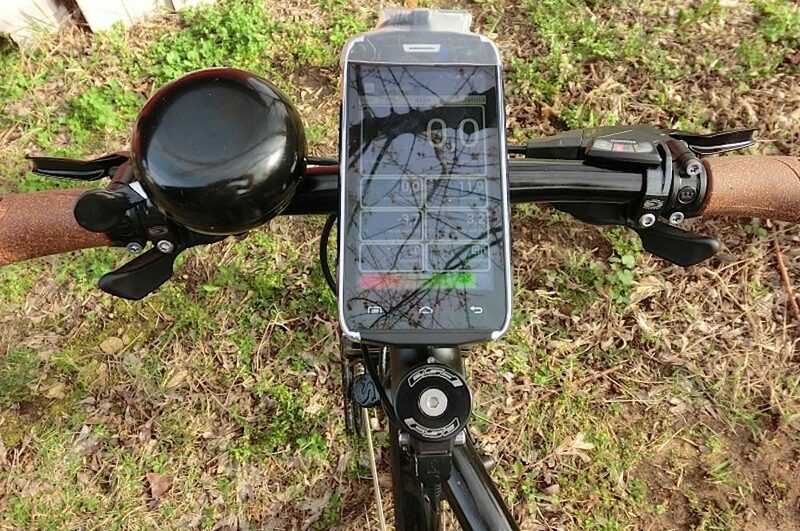 The battery can then keep a constant stream of power flowing to your device at low cycling speeds. The main downside is that The Plug is exposed to the elements, and can deteriorate over time if you don’t cover the USB connection. Mine’s a little rusty but still seems to work fine. 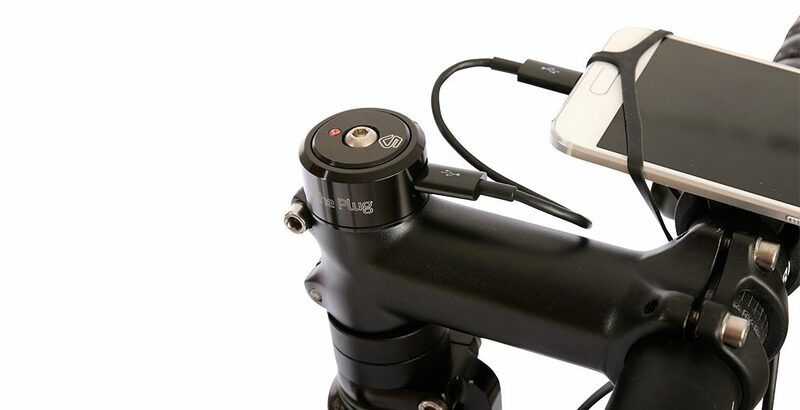 I’ve also found that I can’t mount my smartphone or GPS to my stem as The Plug sits quite high. The latest generation Cinq5 PlugV Plus has a few nifty features. Firstly, there’s a 1100mAh battery hidden in the steerer tube. 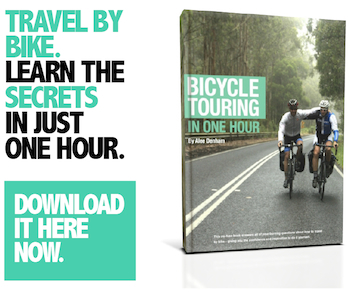 This cache battery allows charging while stopped or when cycling at very low speeds. Cinq5 say that simultaneous operation of lighting and charging is possible with this unit too. The Cinq5 is made exclusively for the new USB-C plugs (not standard USB) so you might need to buy some new charging cables. When you don’t have anything plugged into the unit you can hide the USB-C plug by rotating the top cap door. This is the latest dynamo USB charger by Sinewave and is one-of-three direct competitors to The Plug III. It is essentially a rejigged Sinewave Revolution but instead is incorporated into a 43 gram, super slim headset top cap (half as slim as The Plug). 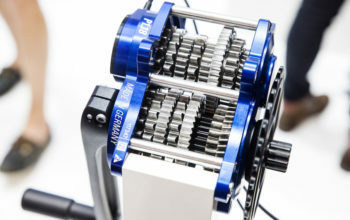 Again, the electronics are neatly integrated into the fork steerer, making it somewhat theft-proof and elegant. It’s manufactured in the USA and seems to get rave reviews from many users. 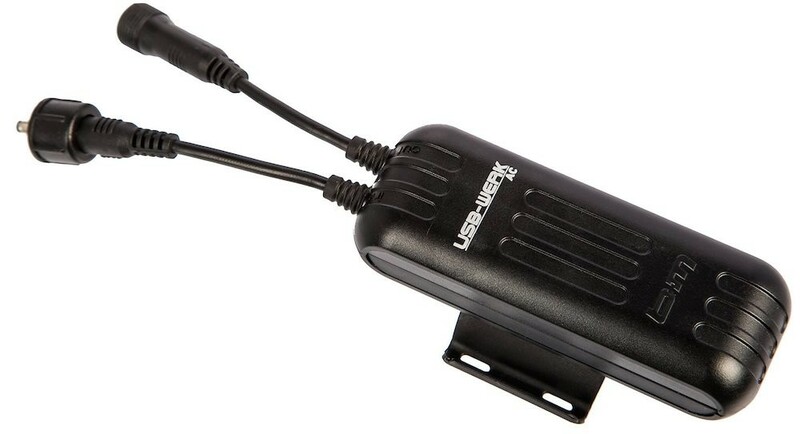 This small, 38 gram, 100% waterproof charger can be connected directly to phones or power packs and is especially popular given it offers the same performance as the Reactor, but with a lower price tag. It will achieve 2.5W at 16km/h, 3W at 20km/h and 4.5W at 30km/h. Like all Sinewave products, it’s made in the USA. The Igaro D1 is a really impressive unit. It’s 100% waterproof and is hand assembled in the UK. 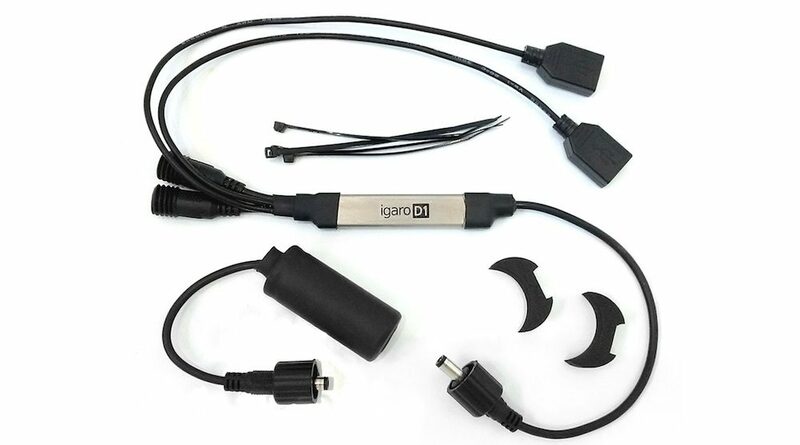 It employs titanium for the charging box and comes with a lifetime warranty, in fact, Igaro will ship warranty replacements anywhere in the world for free. 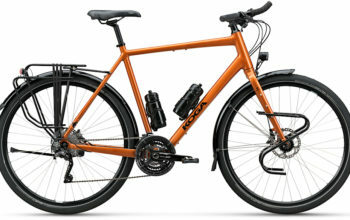 The D1 can handle a maximum current of 3A, and comes with a ‘stability bank’ that will temporarily maintain a high current when you drop below 15km/h. I really like that a whole raft of add-ons (such as an on-off switch) are available so you can build a custom dynamo system. 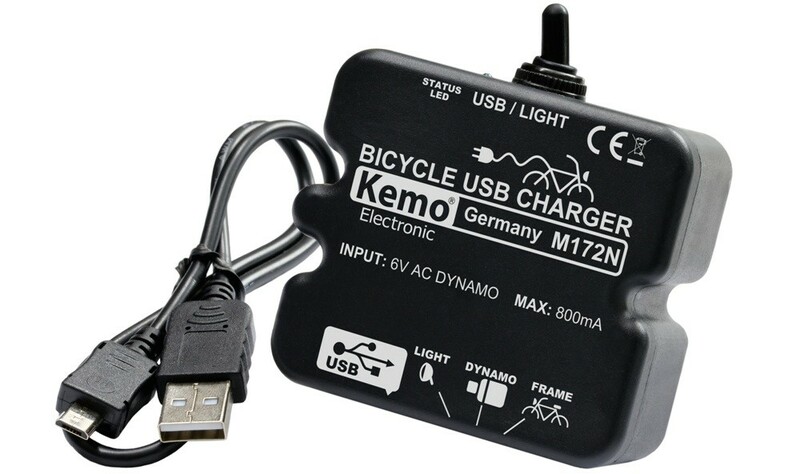 The Kemo M172N is a dynamo USB charger with a built-in switch so that you can choose between sending power to your lights or your USB device. It’s an absolute bargain, and from all accounts, works really well. The USB Werk is the more recent release by Busch and Muller. It’s a stripped back version of the E Werk but with tiny cache battery built in. 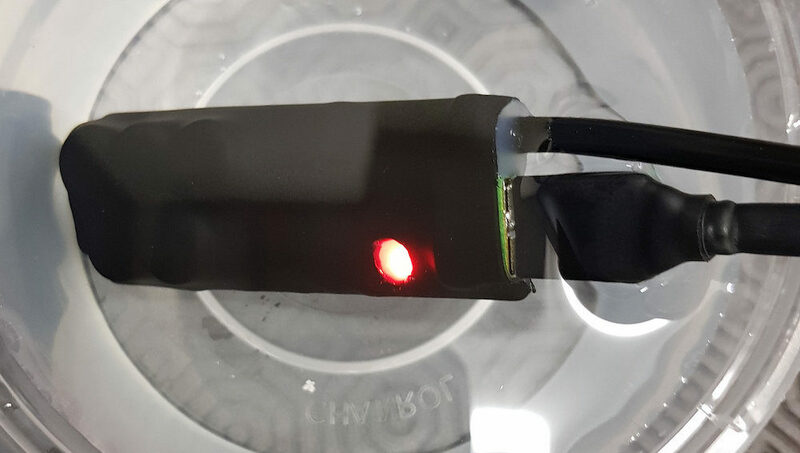 It can achieve USB power (5V and 500mA) at about 19km/h and is highly efficient too (at over 90% efficiency; it’s converting more power than most). 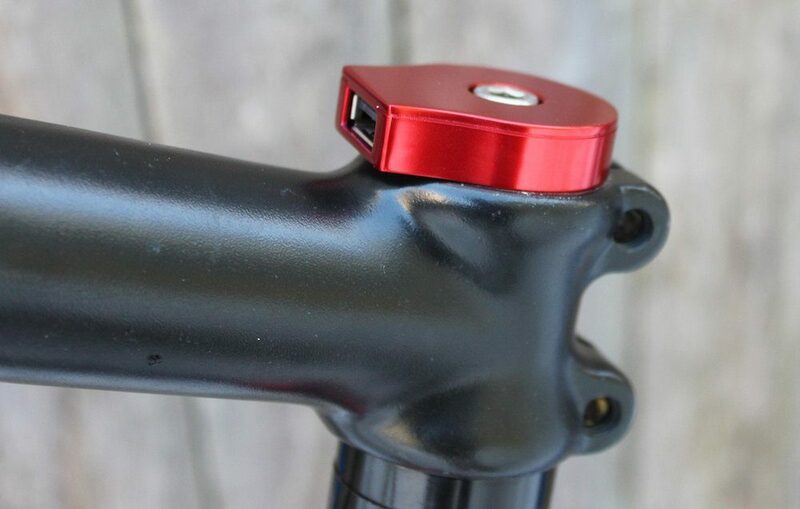 This is another headset top cap charging option at a lower price point. The nice thing about this one is that it uses a rotating dome to protect the USB plug when not in use. USB2BYK make a small, matchbox-sized charging unit that will produce 5V and 400mA at 20km/h. It’s available for a pretty decent price too. The Forumslader V5 is the most powerful dynamo USB charger on this list (check the test results HERE). It is able to hit 2.5W at 13km/h and 5W at 20km/h. It’s constantly getting updated with the latest tech and circuitry due to the small-scale production. Forumslader also makes a USB plug top cap version with the same electronics as the V5. 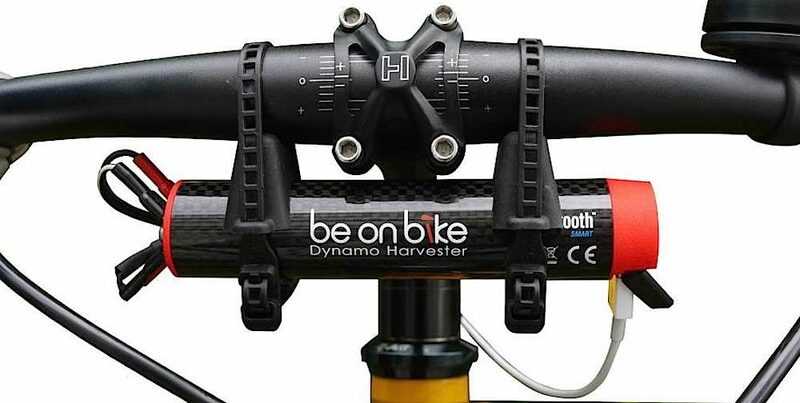 The Dynamo Harvester is another super powerful dynamo USB charger that can hit 2.5W at 15km/h and 4.5W at 20km/h. The cool thing is that it’s handbuilt in Germany, so you can get it custom built to your specifications, and you can even send your charger in to get its electronics updated. 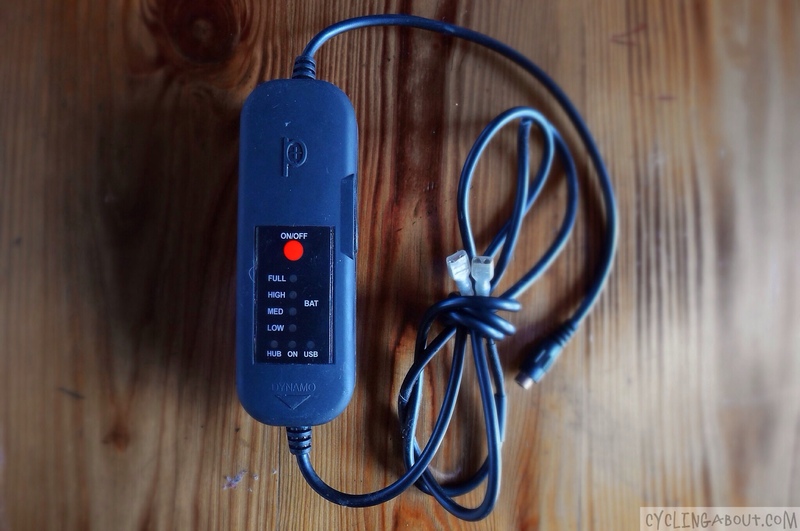 The eWerk is a unique unit as you can control the voltage (2.8 to 13.3 V) and current (0.1 to 1,5 A) to suit the specifications for each device you’d like to charge. The eWerk can provide an impressive total power of 16W if you go fast enough! At about 17.5km/h it can hit USB charge specification (5V and 500mA) and at 30km/h it will be producing over 4 watts. This USB charger doesn’t include any cache battery (extra US $105) like the cheaper model, the USB Werk. 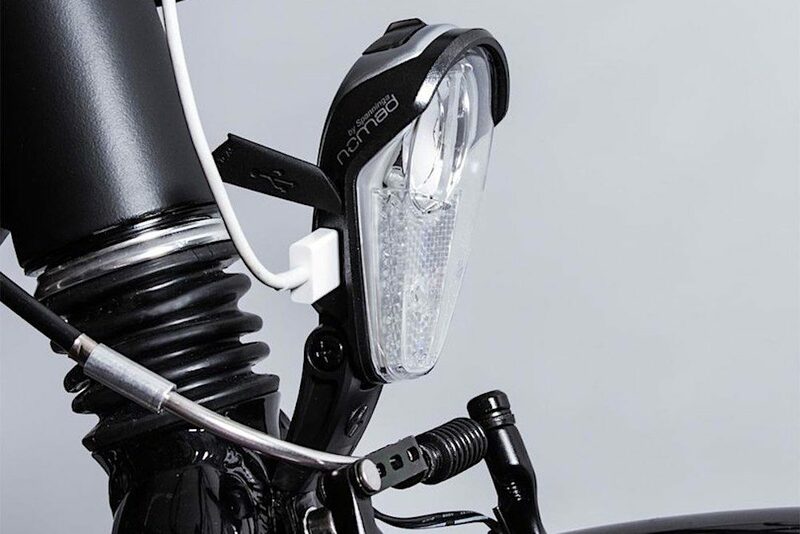 Introduced to consumers at the 2012 Eurobike tradeshow, this bright dynamo light incorporates a handlebar switch and USB plug so that you can charge and ride. It’s a super neat and integrated design, however, comes with mixed reviews when it comes to its charging ability. 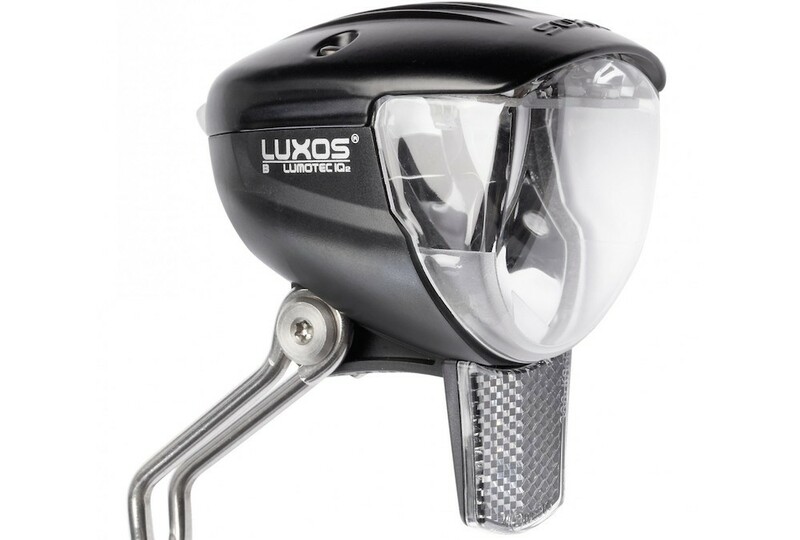 Even so, this is a great dynamo light with a nice beam shape for on-road use. The third dynamo USB charger from Sinewave is an LED light with 750 lumens output and integrated switch for charging. The Beacon uses the same internals as the Revolution and Reactor so you can expect 2.5W at 16km/h. 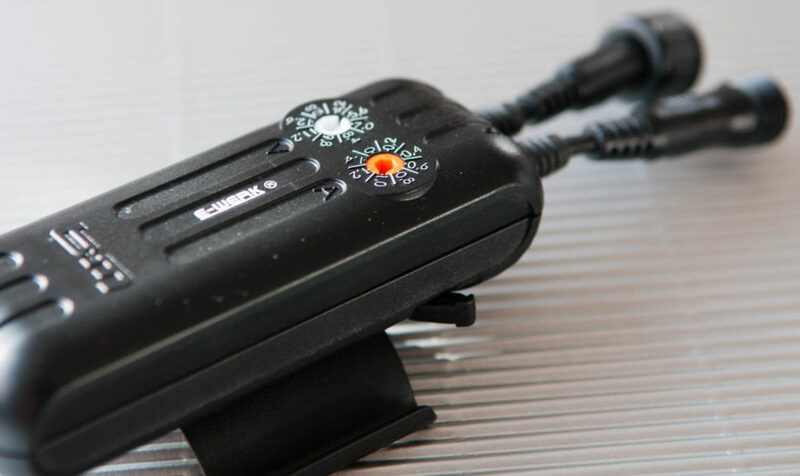 Interestingly, this light also has a ‘Charger Priority Mode’ which will provide the minimum brightness to the LEDs and will send the rest of the power to the USB plug. Pretty cool! 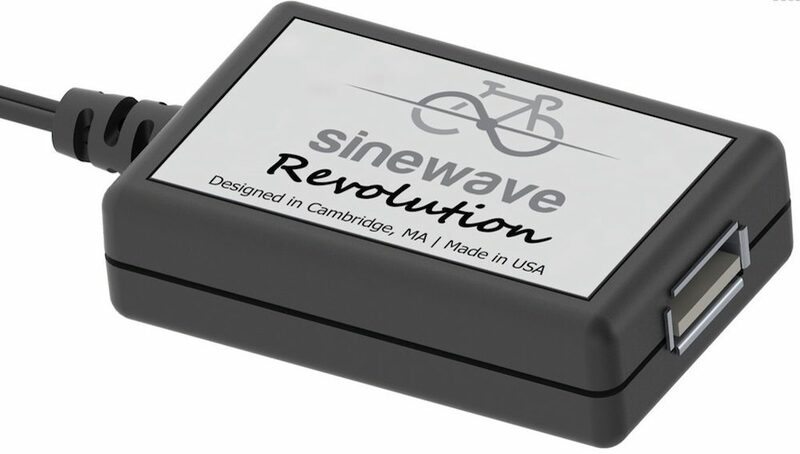 I’ve written a detailed article about the Sinewave Beacon light HERE. 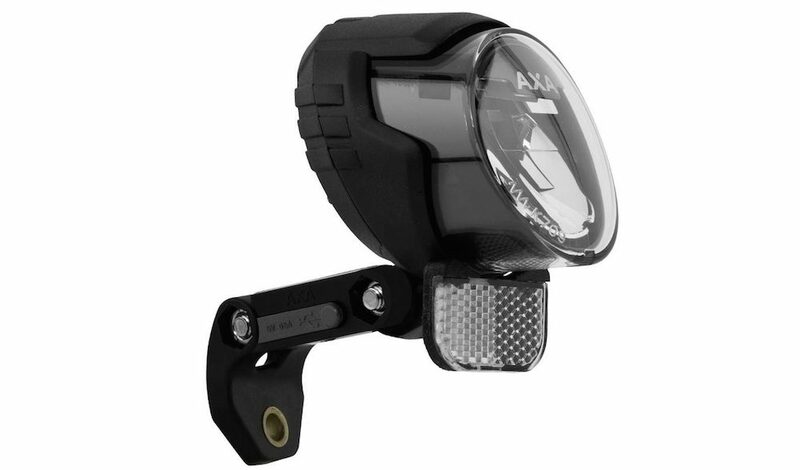 The AXA is a similar product to the Lumotec IQ2 light, providing a handlebar switch to select between using the LED light or USB charger. The key advantage of this product is the exceptional price point. From all accounts, it works really well too! 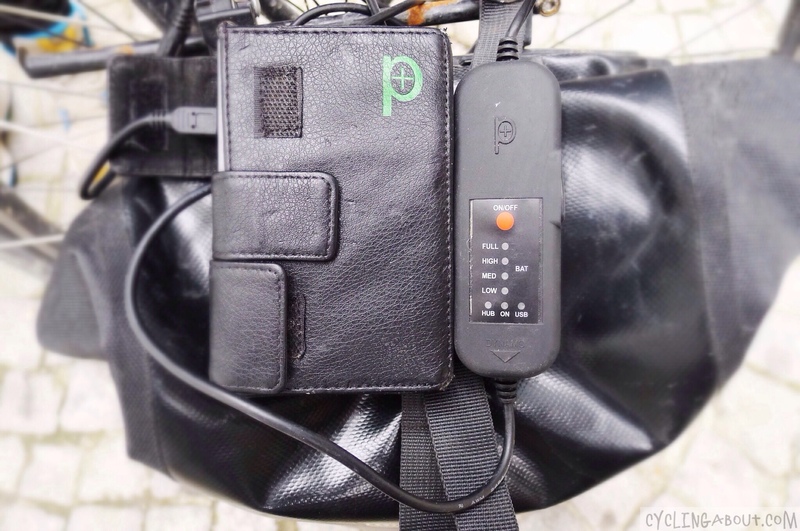 The Spanninga Nomad is, by far, the cheapest light and USB charger combo. 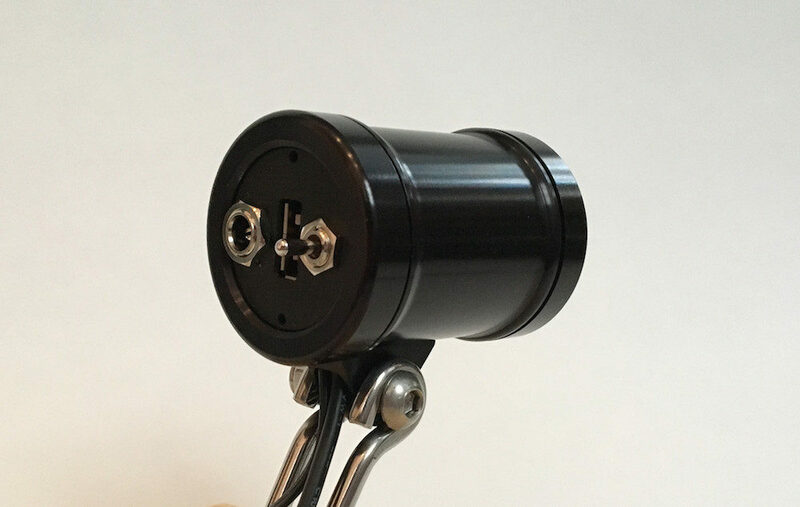 It has a small form factor, with the USB plug hidden on the side of the lamp. The Spanninga LED has a 40 lux output. This dynamo cable features a built-in 2200mAh cache battery with pass-through which allows you to stop/start or dip below 15km/h and still have a constant source of USB power. It worked flawlessly for the two years I put into it, but I’m not sure it’s in production anymore. 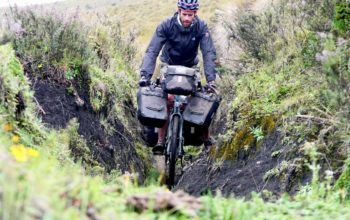 The only issue I had was working out how to mount it to my bike – I eventually cable tied it to the headtube but was always worried someone would mess with it when locked in the street. 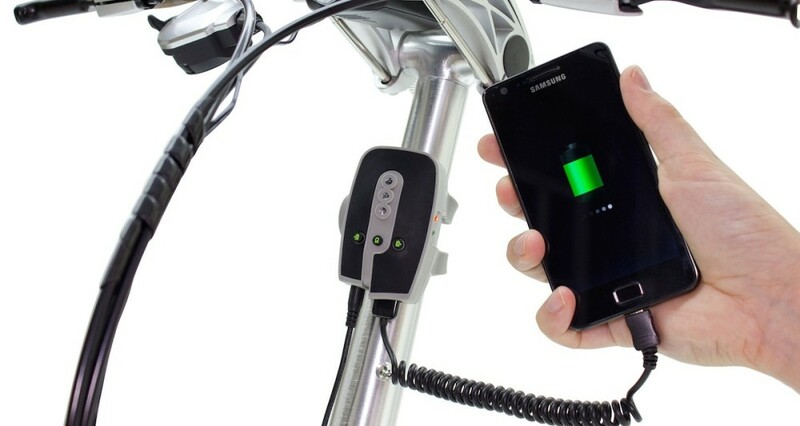 This cable/battery combo allows you to charge straight from the cable or through the battery. I used this kit for years now and never had an issue with it. The 6700mAh external battery took roughly 15 hours of ride time to fill up and will charge an iPhone four times, or my Garmin 800 GPS twice. I was able to use this battery to charge my iPad too! I’m not sure this product is in production anymore. 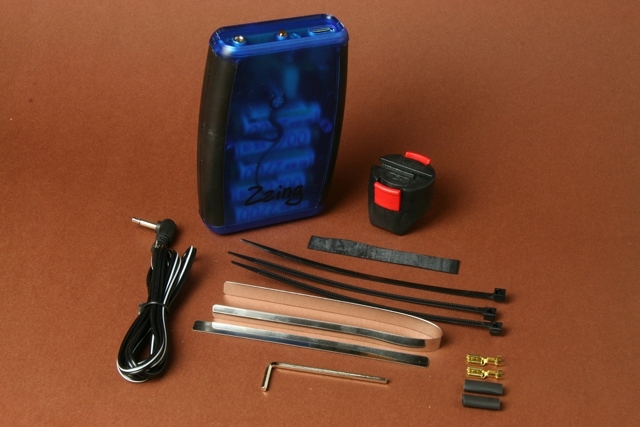 Price: US $290 for the V4i Battery Kit and a Super-i-Cable. This is one of the original USB charging products. The ReeCharge kit wraps around the headtube neatly with a cable running down to the dynamo hub. It offers exceptional value for money! Not sure if this product is available anymore. I don’t know too much about this product, however, it sounds like it’s designed for smartphone charging. 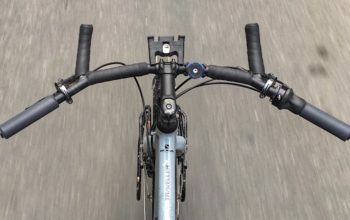 The handlebar clip is a great idea for those not using a handlebar bag or front pannier. If you have any more info on this product – give me a shout.